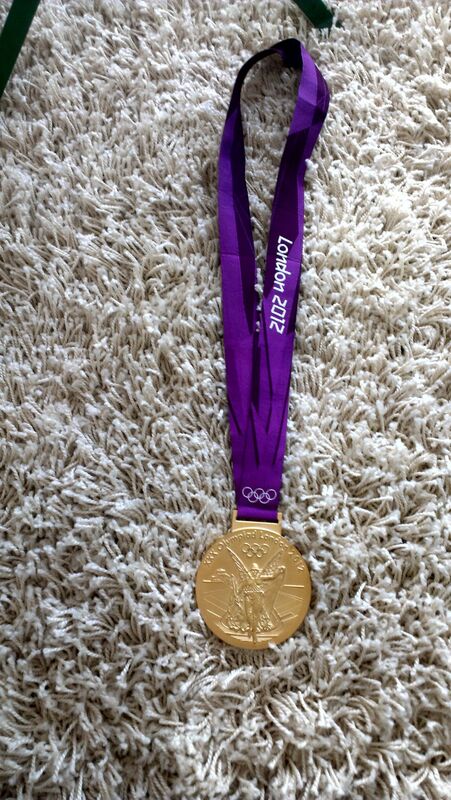 That’s Hindes’ gold medal on a shag carpet, I guess somewhere in the Olympic Village or at Austin Power’s shag house. Also what the most social Olympics ever gives us – after other athletes have been disqualified for their words, Hope Solo ranted about a commentator, and the hate for NBC’s tape delay continues. Hindes shared this photo after admitted to crashing out of a qualifier on purpose. At 19 and having recently became a UK citizen, expect he’s going to get a talking to from his coach, Hoy, et al. A lesson in Stay Calm, Carry On may apply or at least to show some respect. You don’t diss the sport, your competitors, and then the medal. Or if you do, not so publicly where reporters can hear you and bloggers pick up your photos. the result is not in question. best efforts by the British team. In other words, the French didn’t protest. That was the right choice and those coaches won’t forget it, either. Next Next post: Green-Light Go!